The leader of the extremist group that has overrun parts of Iraq and Syria has called on Muslims around the world to flock to territories under his control to fight and build an Islamic state. 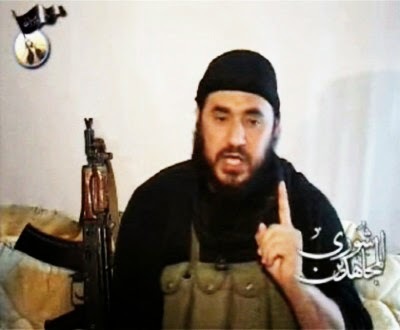 In a recording posted online Tuesday, Abu Bakr al- Baghdadi declared he wants to turn the enclave his fighters have carved out in the heart of the Middle East into a magnet for militants. He also presented himself as the leader of Islam worldwide, urging Muslims everywhere to rise up against oppression. The audio message came two days after al-Baghdadi’s group, the Islamic State of Iraq and the Levant, unilaterally declared the establishment of an Islamic state, or caliphate, in the land it controls. It also proclaimed al-Baghdadi the caliph, and demanded that all Muslims around the world pledge allegiance to him.